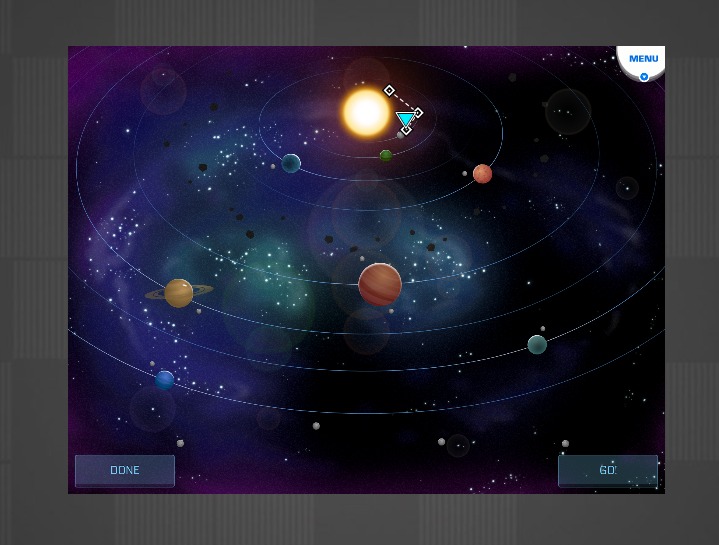 Note: Airtime:Space is a GoNoodle Plus game and is only available if you have access to GoNoodle Plus! Learn more about GoNoodle Plus. Airtime:Space does not work on mobile devices or tablets at this time. This activity can only be played when using a desktop or laptop computer. 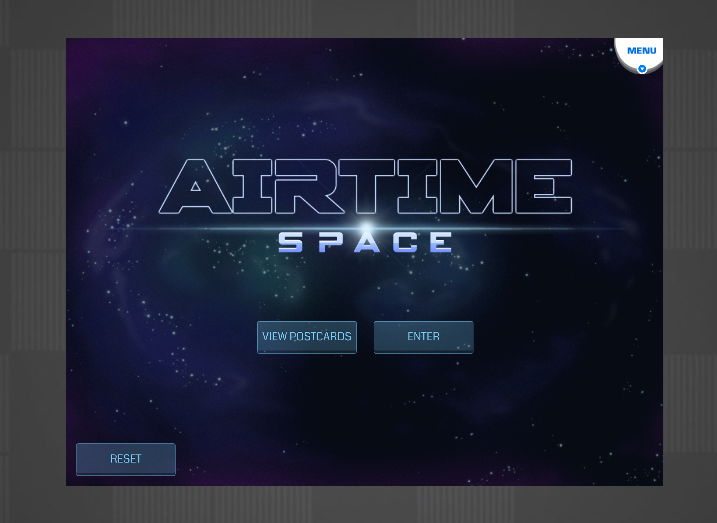 Airtime:Space is a stress-release experience your whole class plays together. When playing Airtime:Space, your students will practice a short deep breathing exercise. 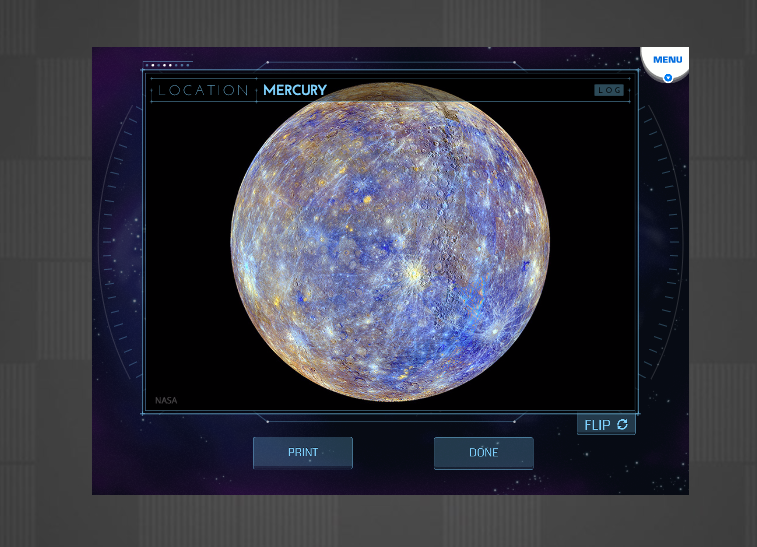 Each time your class breathes together, they’ll visit a new location on the galaxy map and earn a digital postcard. Visit all 50+ locations! When you first play Airtime:Space, you’ll be asked to select your grade level. This determines the timing of the breathing animation, which is adjusted for age appropriateness. Once you’ve selected a grade level, you will not be asked again unless you reset your game. See Resetting Your Game for more information. Select Postcards to view the postcards your class has earned so far; see View Your Postcards for more information. Select Enter to go to the map and begin your next leg of the journey. 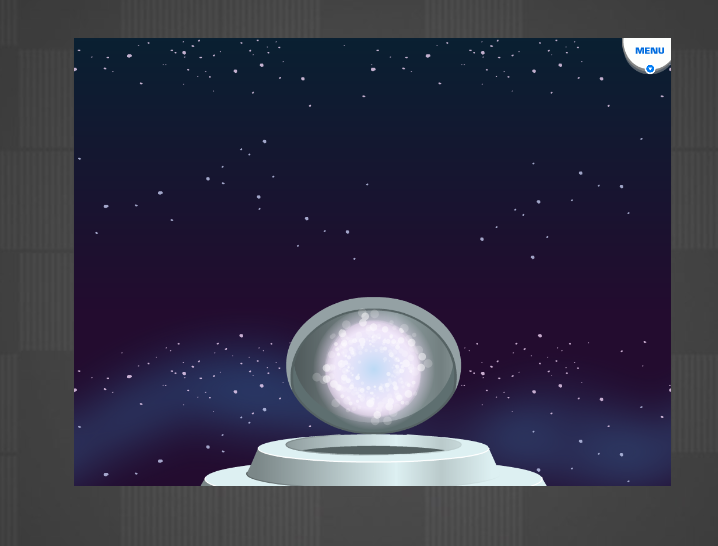 Once the breathing exercise has ended, your class will automatically earn a digital postcard. Click Flip to view the back of the postcard. Read or share the fun facts on the postcard back with the class. Click Print to print a physical version of the postcard to hang in your classroom or give to students, if you wish. When you’re finished viewing the postcards, click Close. You may click Postcards on the main screen to view your postcard collection. Locations will be added to the list as you earn them. Click any location to view the postcard for that location. Click Print to print a physical version of the postcard to hang in your classroom or give to students, if you wish. If you want to delete your progress in Airtime:Space and start over, click Reset on the main screen of the game. A message will ask you to confirm your decision.